In recent years there has been an unprecedented rush into online contemporary art sales, a formerly taboo practice among gallerists accustomed to a fair amount of opacity in their dealings. 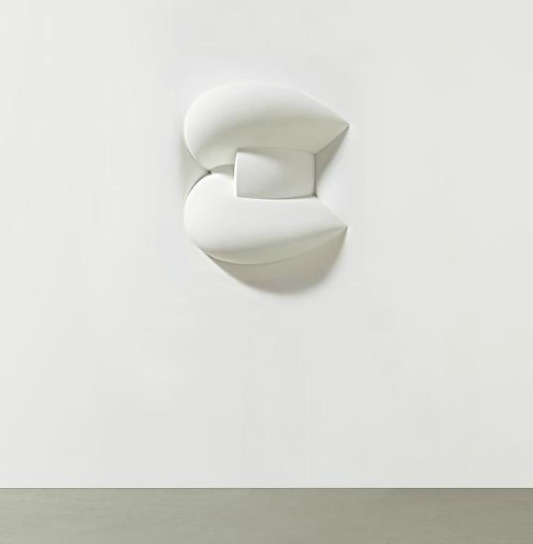 My, how things have changed, with well-known commercial galleries such as David Zwirner and White Cube, not-for-profit spaces including Artists Space and SculptureCenter, and even museums such as the Whitney and the New Museum unashamedly making works available through Artspace and other online venues. Last week, The Armory Show announced an exclusive partnership with Paddle8 to present artworks for collectors to preview, reserve, and purchase in advance of this Thursday’s opening. Following in the footsteps of the online-only VIP Art Fair, The Armory Show is hedging its bets that having an online presence will extend its reach into new markets far beyond the tri-state area. In the spirit of this week’s art show extravaganza in New York, we thought we’d take it upon ourselves to see what’s on offer right now in contemporary art sales and auctions online at Artspace, Phillips de Pury (specifically their Under the Influence auction taking place on The Armory Show’s opening day), Christie’s (specifically their First Open Post-War Contemporary Art auction taking place one day before The Armory Show’s opening), the annual C Magazine Benefit Auction taking place at MOCCA Toronto in early April, and of course The Armory Show at Paddle8. For you, our fair reader, we surveyed nearly all the available works from every gallery, not-for-profit, museum, and auction house listed above, at times enduring surprisingly poor photography, low resolution, inadequate magnification, slow-loading images, clumsy interfaces, and innumerable artworks which will never represent well onscreen even in the best photographic and digital circumstances. These, we sadly had to pass on (although this confirms our belief that most art is still best seen in person; exhibitions will never be obsolete!). Many galleries opted not to post prices as well, and those works we obviously could not consider. Still, despite these and other growing pains of the online art market, we were able to see and select from an extraordinary variety of works by both blue-chip and barely known local and international artists at all price points. 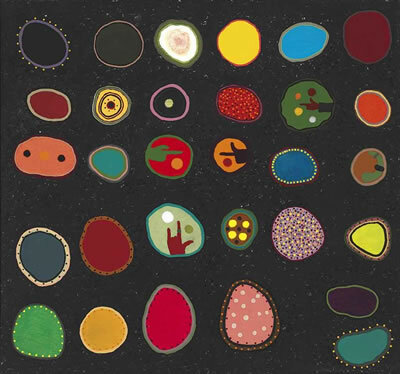 In the end, we amassed a virtual collection of 37 artworks at a cost of exactly 999,550 imaginary dollars from galleries and museums around the world. We’ve featured some of them here; to see the whole collection on one page, visit our Pinterest board titled Million Dollars, linked below. We hope you enjoy seeing our selections as much as we enjoyed selecting them. Who says you need money to enjoy art? 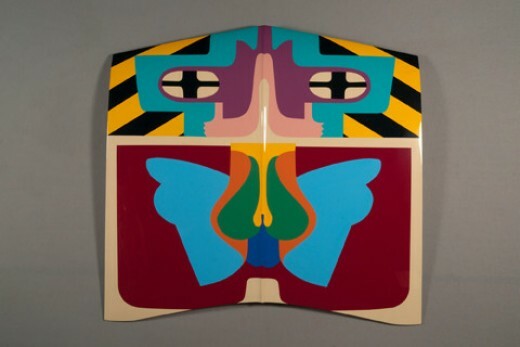 Yes, it’s 350Gs, but how can anyone resist this 1965 Corvair car hood lacquered with suggestive shapes in candy colours by the inimitable Judy Chicago? 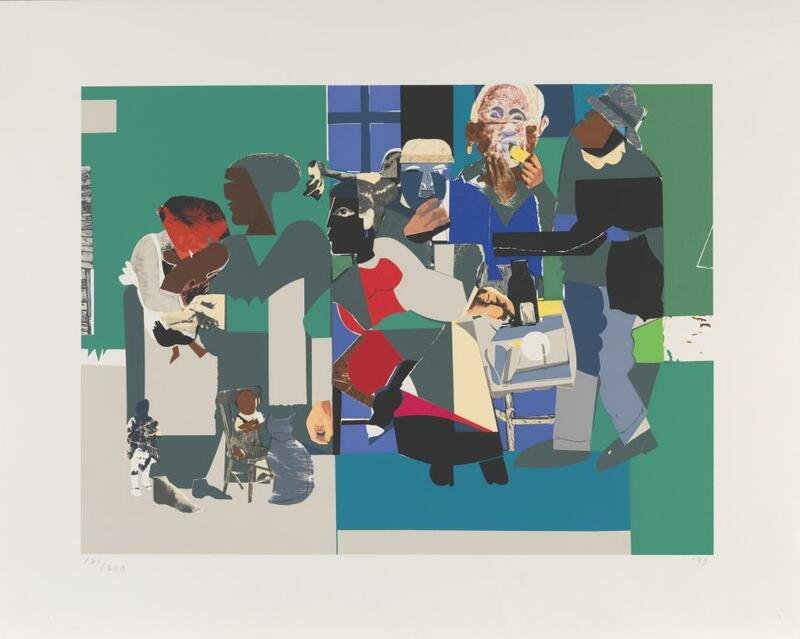 This generously sized, hand-screenprinted limited edition by Romare Bearden is colourful, timeless, absorbing, and a relative steal at $750. A hulking 17-foot long sculpture by Richard Serra. 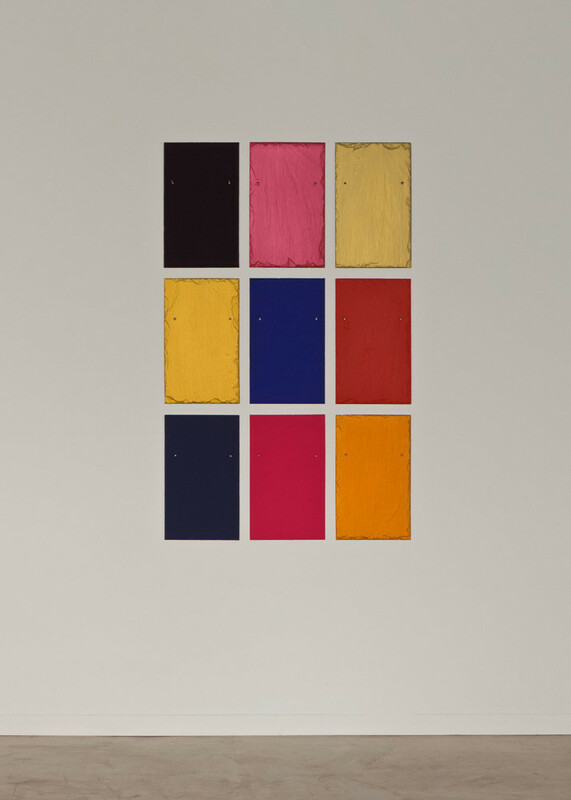 We’d love to see the texture of the paintstick on metal up close. Requires it’s own room, level floors not included. 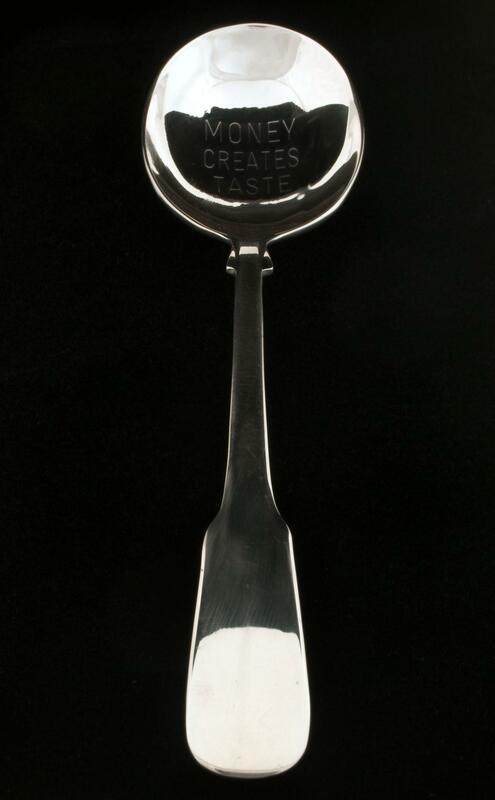 A tiny text-based sculpture edition by the ever-prescient Jenny Holzer. Apropos to today’s post, wouldn’t you say? 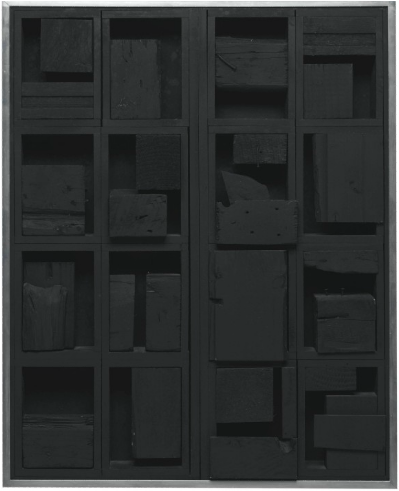 Here we have a tie between two works created in 1964: a large painting by the relatively unknown (to us, anyway) California artist Roy De Forest, and a small iconic sculpture by the very well-known (to us, being from Philadelphia and all) Louise Nevelson. Here we have a three-way tie between works executed just this year, all of which appear to foreground material complexity and richness. Winston Roeth’s painted slate tiles are sculpture for a wall, while Ronald De Bloeme’s layered painting evokes interstellar flights of fancy. 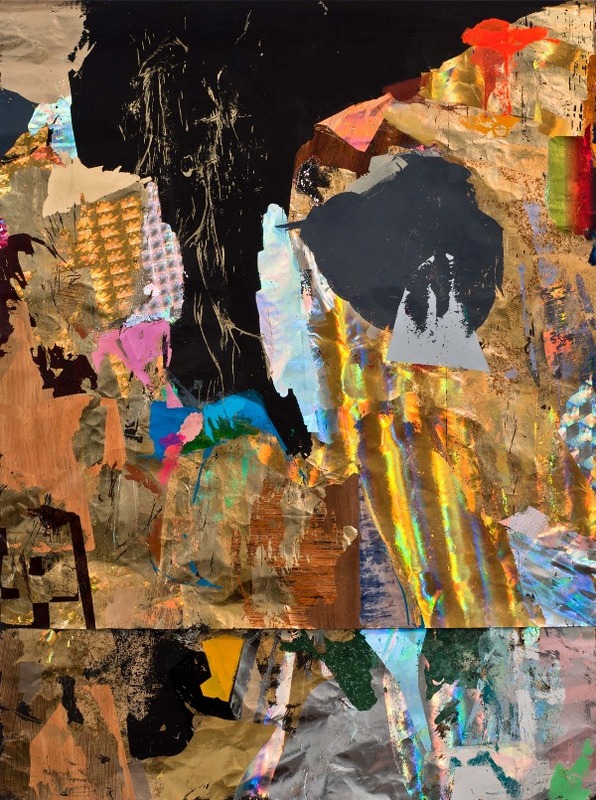 Hometown favourite Sandy Plotnikoff’s double-layered foil collage embodies the pure joy of making a mess with shiny materials. Below, links to the websites mentioned above. Some require registration or membership which is easy enough to receive — just say you’re an art collector. A well-designed, intuitive website featuring work from some of the most exciting and/or well-known galleries and museums around the world. A new way to support non-profits as well. Sleek/slick design which could be less splashy and more intuitive. Viewing tools take a little getting used to, but image magnification is excellent. Impressive gallery list from Gagosian on down to Franklin Furnace, including many international galleries. 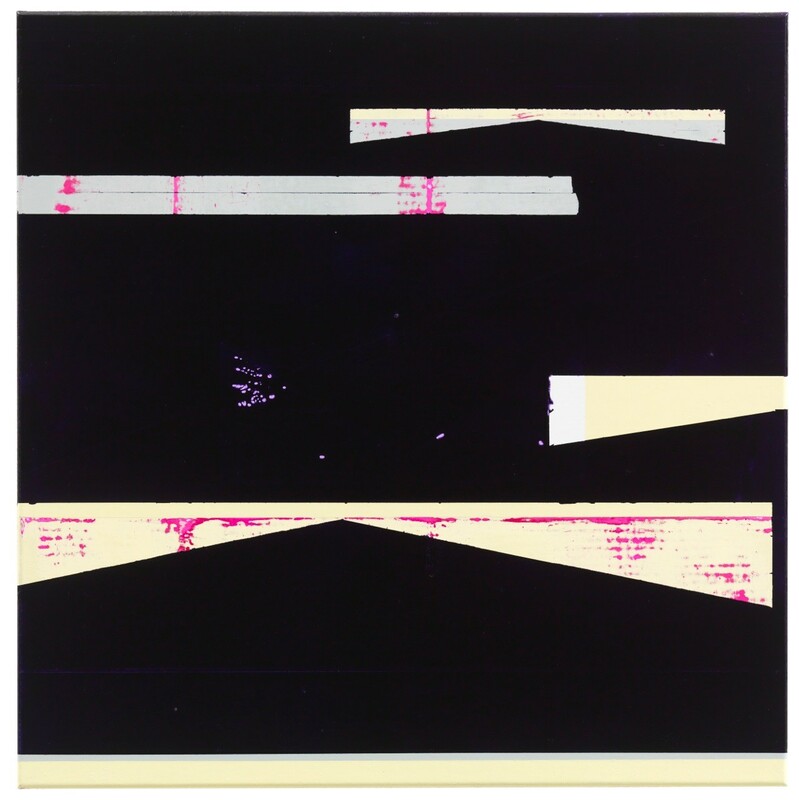 The Armory Show features a subset of those galleries and is accessible from the front page or under the Art Fairs tab. Beautifully and cleanly designed site with excellent viewing and magnification tools. Intuitive and a pleasure to use. Here’s a site that needs some serious updating. Sure, they’ve probably been doing this online auction thing the longest, but there’s no reason for their website to show it. Still, the information is all there, and you can’t argue with the fabulous artwork selection. Information, auction tickets, and images of available artworks are on view at this simple and well-designed site. Here’s your chance to see and score works by established and emerging Canadian artists which, to this former New Yorker, always seem incredibly undervalued. Ticket price includes complimentary food, open bar, a subscription to C Magazine, and a miniature limited edition by Sandy Plotnikoff (worth the ticket price alone).